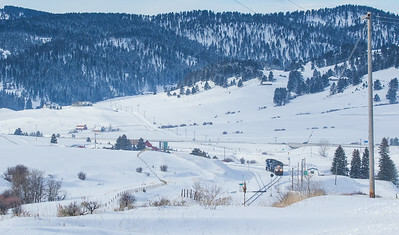 Pictures from 2 days on Bozeman Pass in early February, 2017. 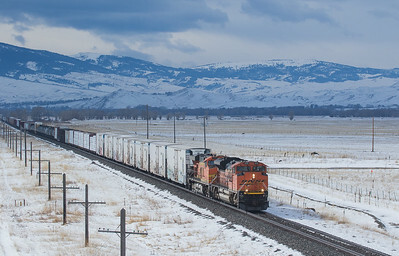 7397 on the U-FYNFTE0DC at Bozeman, MT. 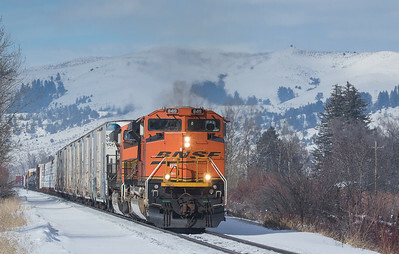 5263 DPU on the U-FYNFTE0DC at Bozeman, MT. 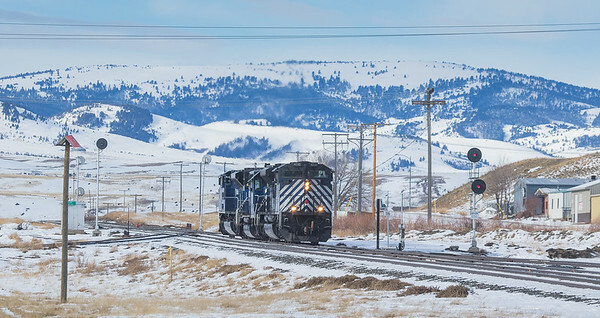 Helper set returning to Livingstone, MT at West End. 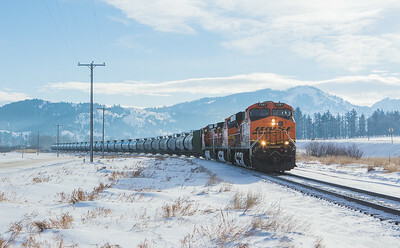 Helper set arriving at Livingstone, MT. 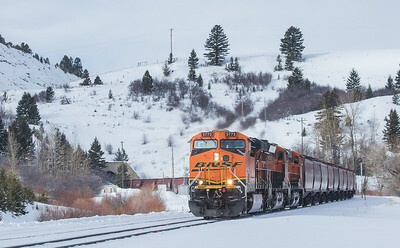 8113 on the U-FYNFTE024 at O'Rea Creek Rd. 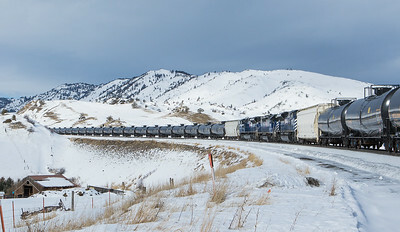 Midtrain helpers on the U-FYNFTE024 at O'Rea Creek Rd. 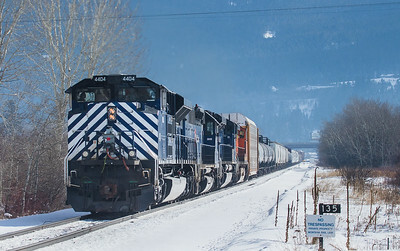 4128 DPU on the U-FYNFTE024 at O'Rea Creek Rd. 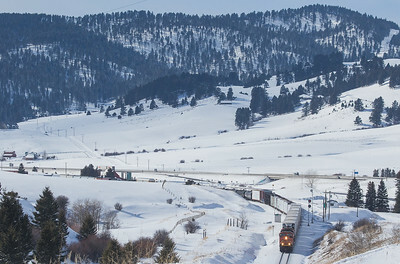 5773 on the E-RBLDKM008 at Muir. 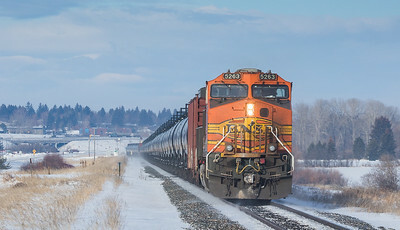 8113 on the U-FYNFTE024 dropping the midtrain helpers at Bozeman, MT. 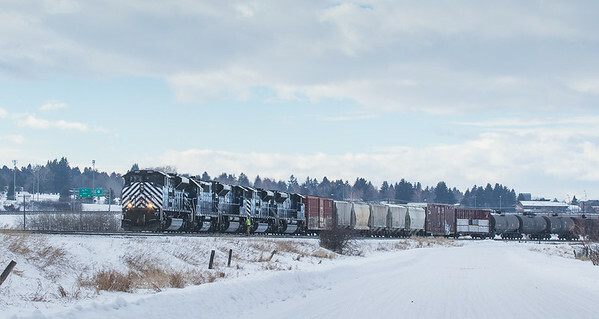 8419 on manifest at Moffit Gulch Rd. 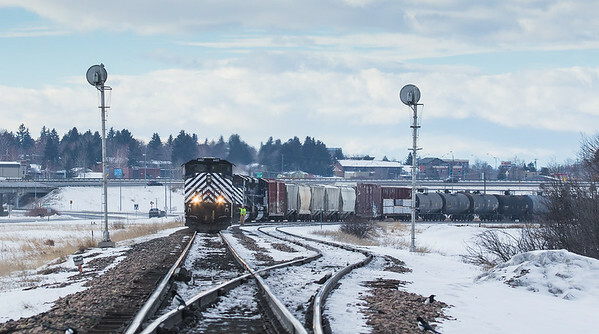 Westbound grain meets eastbound manifest at West End. 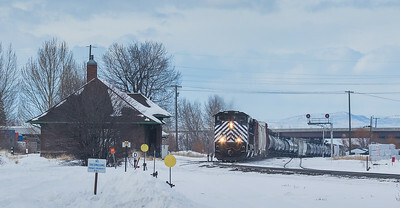 8419 on eastbound manifest at West End. 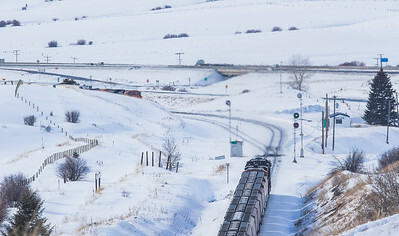 8419 on eastbound manifest at Mission Field. 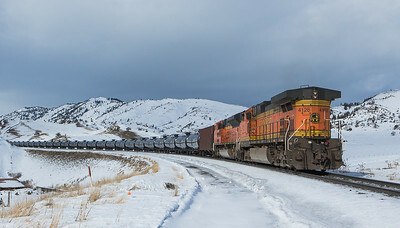 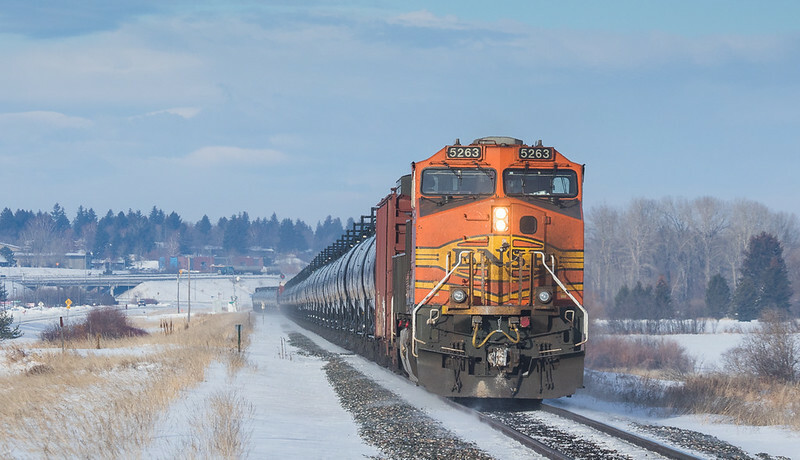 4404 with helper set at Bozeman, MT. 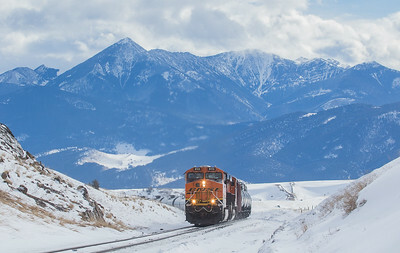 4401 on the M-MISLAU104 at Bozeman, MT. 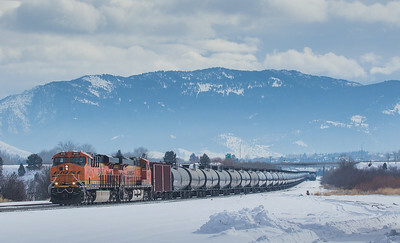 4407 with helper set tieing onto the M-MISLAU104 at Bozeman, MT. 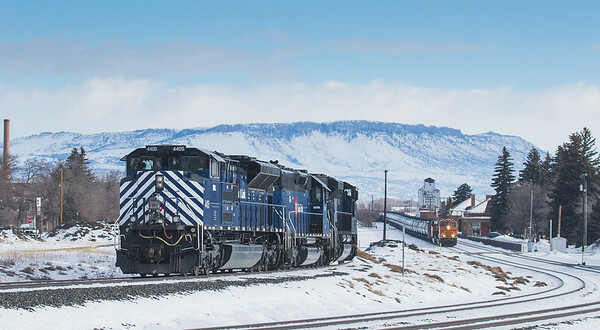 4407 with helper set on the M-MISLAU104 at Bozeman, MT. 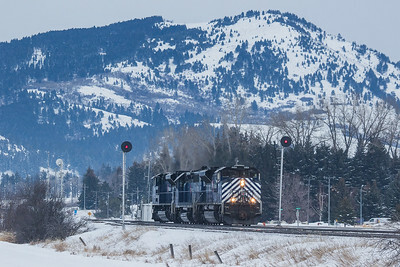 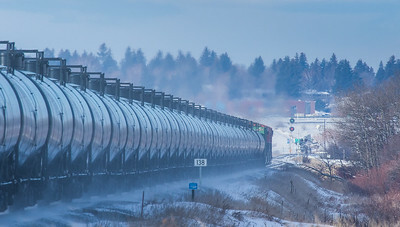 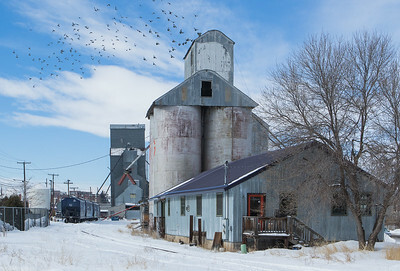 5326 on the Q-ALTPTL602 at Bozeman, MT.